I missed it so much and here we go. I’ve been debating going back to a single ended radium with t5 supplements. Think I’m gonna meet in the middle with a aquatic life hybrid t5/led fixture with my hydra 26 in it, 4 t5s. Dong you should do a little grow experiment - similar frags under the MH and LED for a few weeks/months and measure new growth under each light source. I put the metal halide back on one tank because I am sick of watching the night club coral photo all over the internet and frag shows. I want to see some of my coral under more natural lighting, despite they are not “pop” as much. They shows a different kind of beauty other than those neon color. I like to see the real dancing shimmer under metal halide, reminds me the real dancing sunlight under the actual ocean water. 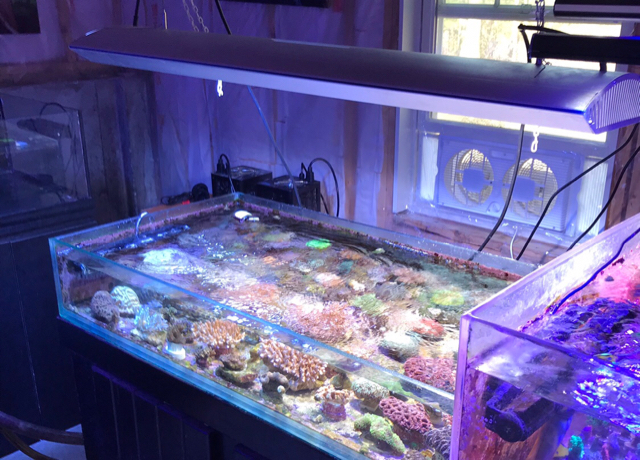 Over the years, I found led, t5 and metal halides all grow sps coral at similar rate. But the looks of the tanks are very different. Coral transferred from different lighting can quickly adapt including their growth forms and color. 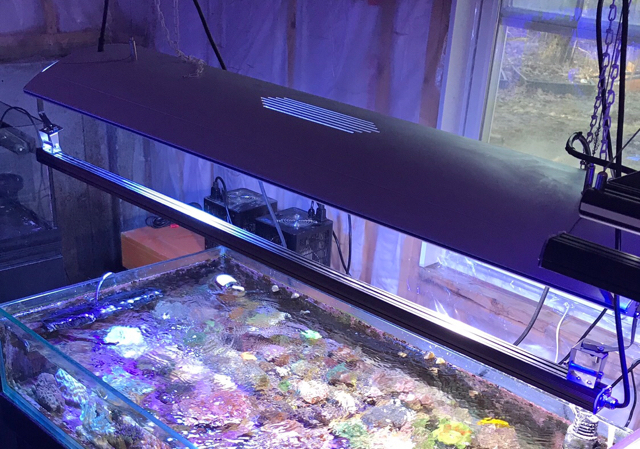 T5 and metal halide are less likely to burn coral as they pretty much max out around 350 to 400 par at 12 inch under the water. But many LED can easily reach over 800 par at the same depth. Most coral can reach photo inhibition under such intense lighting which can cause a lot of damage. That is one of the major reasons people have more failures under led. The lesson learned is that a par meter is critical to use LED. Went to halide T5 combo recently and all coral is responding well. Should have done it sooner. My son is right once again. Just put in two brand new Phoenix 14K. I love it.